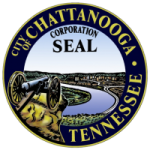 The City of Chattanooga has released the 2017 Open Data Report, which reflects on the City’s progress and looks to the future on ensuring transparency and accessibility of public data online. Under an Executive Order issued in 2014, Mayor Andy Berke developed an open data policy and increased transparency in city government through the creation of an online portal. Anyone can access the online portal, where data on reducing violence, growing the local economy, improving literacy, strengthening neighborhoods, and other community priorities, is readily available and continually refreshed. The 2017 Open Data Report reviews how Chattanoogans are using data available on the portal as well as future initiatives aimed at increasing transparency through access to new datasets and enhanced community engagement. Community member sitting on the open data advisory group. The City of Chattanooga will continue to look for ways to engage and empower Chattanoogans with its open data resources. 2017 is going to be another great year for open data in Chattanooga!